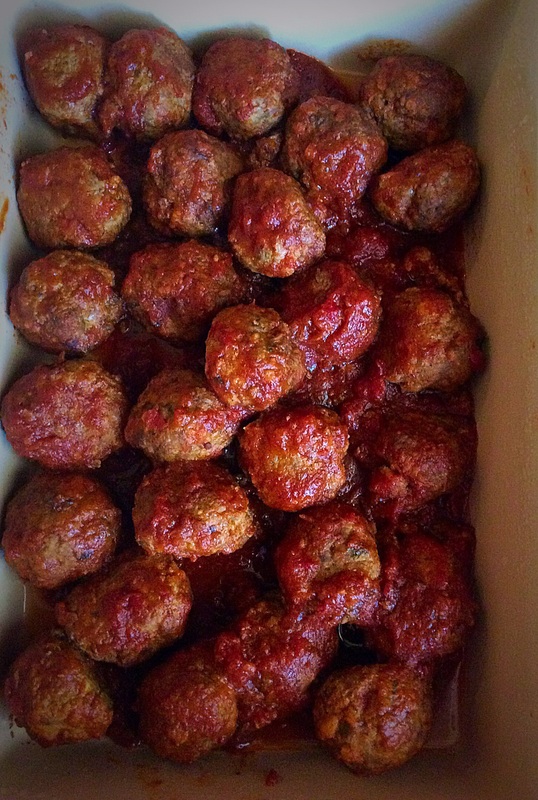 What else to do but make sauce and meatballs, the meatball mission begins with “The Meatball Shop” recipe for Classic Beef Meatballs the first entry for my meatball file…so many meatballs so little time. The recipe is easy and my only change to it was to grind the beef myself which consisted of chuck and beef boneless short ribs, I actually stuck to recipe and since I have it prepared for a lot of uses, I used my fennel dust spice instead of grinding more seeds. My sauce for this Sunday was a combination of three sauces that I had made and stashed in the freezer, my father’s recipe, a Marcella Hazan, and a sauce that I made with fresh tomatoes. I really believe that the meatballs are always better in a homemade sauce than a jarred sauce. 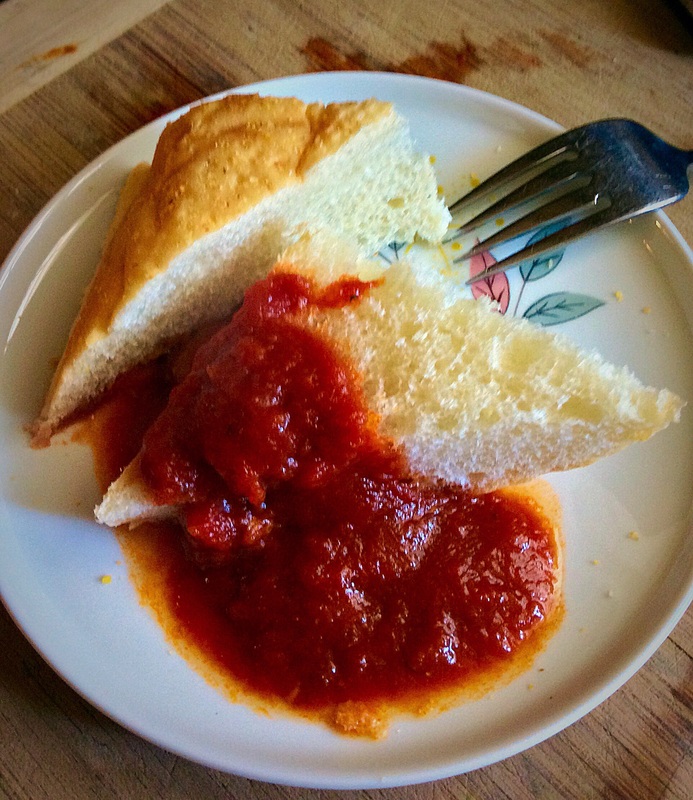 At any rate 4 cups of classic tomato sauce is suggested for the recipe and I have at least 8 cups made since I plan on sharing with a friend. The recipe is all over the internet and some of the versions don’t include amounts, so below is the entire recipe for the meatballs as well as the fennel spice blend. The fennel spice blend is good to have on hand for many things that are roasted roasted, grilled, and things that need a touch of fennel seasoning…try it in your favorite pizza sauce. 1. Preheat the oven to 450°F (232°C). Drizzle the olive oil into a 9-by-13-inch baking dish and use your hand to evenly coat the entire surface. 2. Combine the ground beef, ricotta, eggs, bread crumbs, parsley, oregano, salt, fennel, and red pepper flakes in a large bowl and mix by hand until everything is thoroughly incorporated. 3. 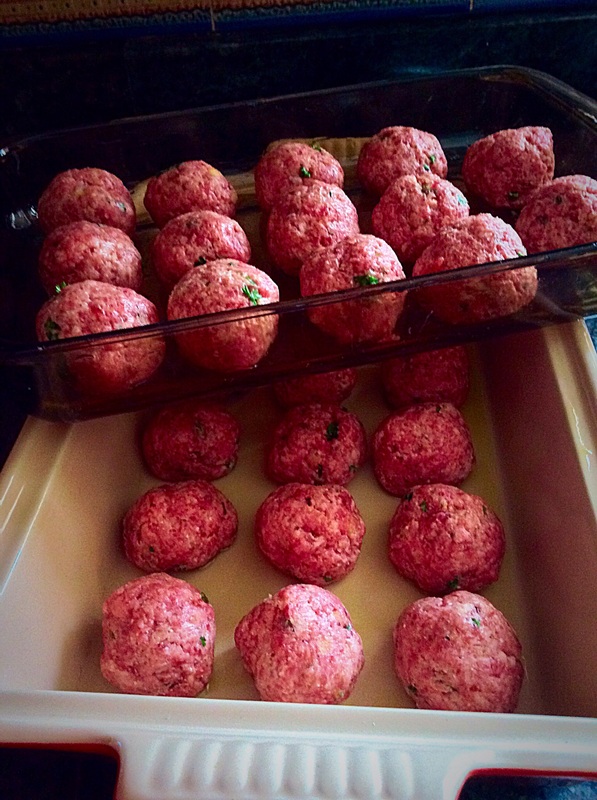 Roll the mixture into round, golf ball-size meatballs (about 1 1/2 inches in diameter), making sure to pack the meat firmly. Place the balls in the prepared baking dish, being careful to line them up snugly and in even rows vertically and horizontally to form a grid. The meatballs should be touching one another. 4. Roast until the meatballs are firm and cooked through and a meat thermometer inserted into the center of a meatball reads 165°F (74°C), 20 to 30 minutes. 5. While the meatballs are roasting, heat the tomato sauce in a small saucepan over medium-high heat, stirring often. 6. 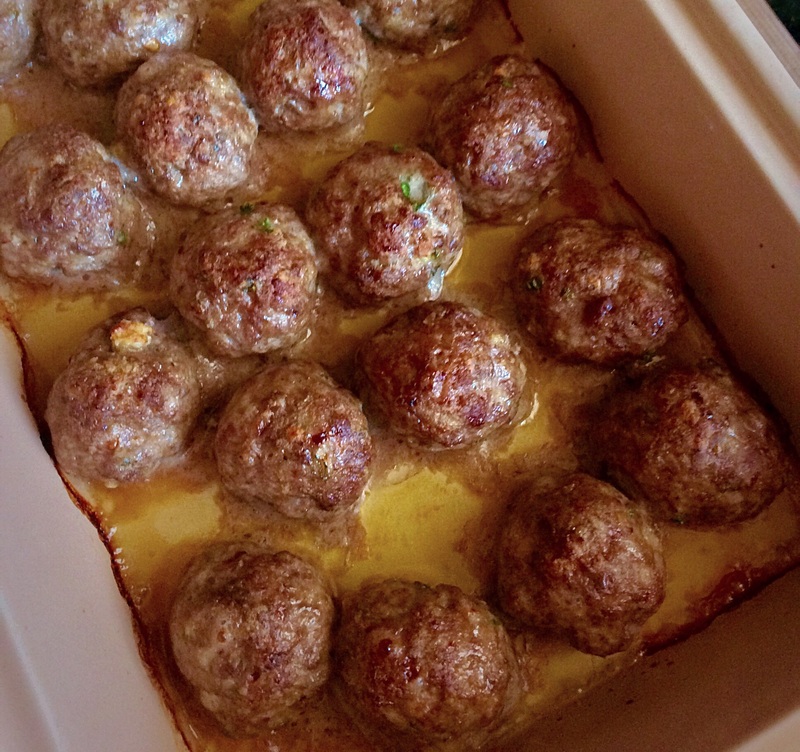 When the meatballs are firm and fully cooked, remove them from the oven and drain the excess grease from the pan. Pour the tomato sauce over them and turn to coat. Return the meatballs to the oven and continue roasting for another 15 minutes. Serve as desired…grated pecorino Romano and Parmigiano Reggiano over meatballs just out of the oven…over hot pasta or macaroni.